Many people don’t realize it, but pearls are just as versatile as gemstones and diamonds. 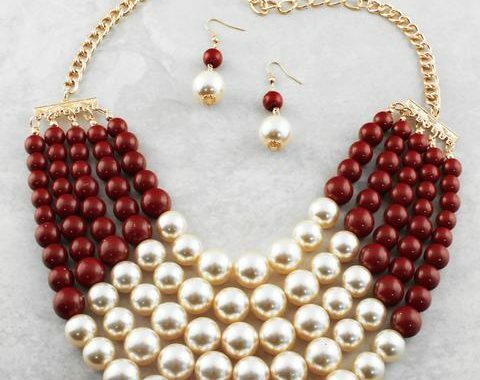 When buying a pearl beaded necklace, there are so many things to consider: the color of the pearls, the shape, quality, etc. Most of the necklaces you come across are cultured, or harvested. Natural pearls are very rare. Harvested pearls are just as lovely as naturally occurring ones. However, some harvest pearls are worth more than others. Akoya is considered to be the most lustrous type. These are known for their warm color. South sea pearls have a silver appearance. Burmese pearls are very warm in color tone. Freshwater pearls are cultivated in mollusks. They are found in freshwater rivers and lakes. They are quite translucent and have elongated shapes. When you shop for a pearl beaded necklace, you’ll see that they are available in different colors: pure white, cream, pink, silver, yellow, and black. Some of these colors occur naturally while others are treated in labs. One thing that really affects the price of a necklace is the smoothness. During the layering process inside of the oyster, the nacre might not be of good quality. Sometimes tiny flaws appear in pearls affecting the overall smoothness. The nacre varies in thickness as well. This thickness dictates the size of the pearl. 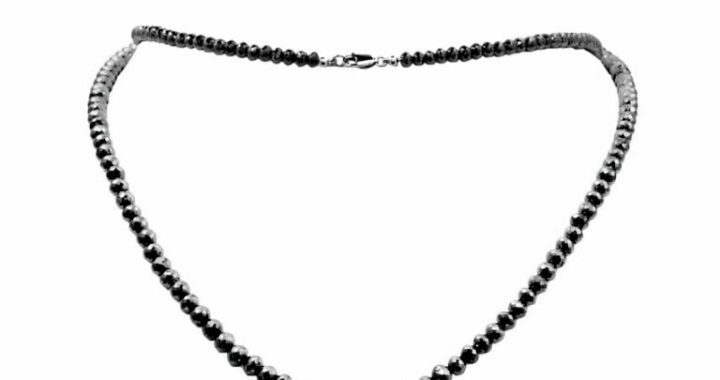 For most consumers, a freshwater pearl beaded necklace is ideal because they are large. Akoya pearls range from 6.0 – 8.5mm, and Tahitian and South Sea pearls are almost twice that. What style of necklace do you want? How many strands? A uniform necklace is made with numerous pearls of the same size and shape, although there can be a slight size difference between the end and center pearls for a proportionate look. A graduated necklace is composed of pearls which taper downward in size from the center to the ends. There are also multi-strand beaded necklaces. These go well with simple outfits. When you wear so many beads around your neck, they should be the highlight of your outfit. You don’t want to overdo the look by wearing something more than a simple dress. • Treat the pearls just as you would any precious jewels. • Don’t clean them with abrasives or chemicals. • Don’t expose them to hairspray, perfume, or cosmetics. • Whenever you take the necklace off, gently wipe it with mild soap and warm water. • When not wearing it, wrap it in a tissue when putting it in your jewelry box. Now you have an understanding of pearl necklaces. Just use this guide as a starting point and you should be able to find the necklace of your dreams! So, where can you find your dream pearl beaded necklace? 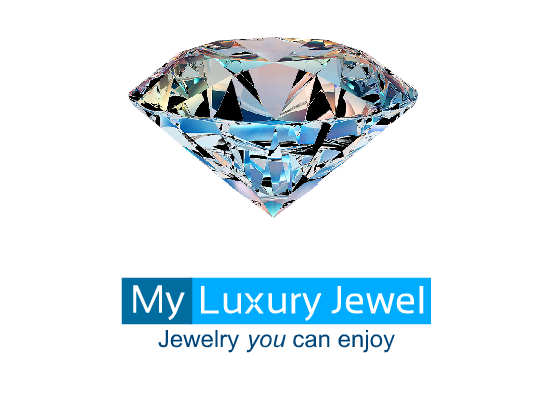 The best place to look is at SuperJeweler.com. You’ll find huge discounts on pearls, diamonds, rubies, and more. Save hundreds of dollars on everything from pearl necklaces to diamond earrings! 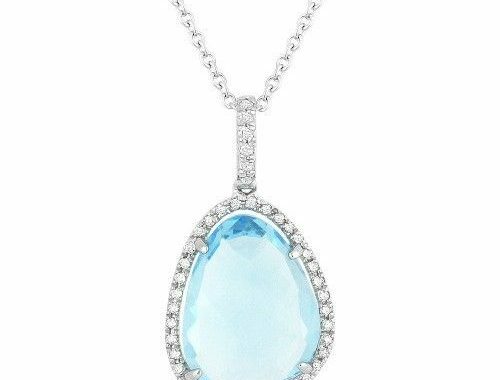 A blue topaz necklace is one of the most beautiful pieces of jewelry! This gemstone will remind anyone who looks upon it of a clear blue sky on a warm day. It’s an ideal gift for anybody born in the month of December. Not only is it lovely, blue topaz is also a hard stone. As long as it’s well taken care of, it can maintain its dazzle for decades. Since blue topaz rarely occurs naturally, most of the stones are treated. Some sellers try to sell citrine as blue topaz. There is a simple method of distinguishing the two. A real topaz stone will sink to the bottom of a methyl iodine solution, while citrine will float. If you want to buy a natural stone, be sure to ask for a Certificate of Authenticity. However, a blue topaz necklace made out of a natural stone is very rare and expensive. The gemstone varies in colors. The more desirable is a pure robin’s egg blue. On some necklaces it’s combined with sapphires, diamonds, or both. Many women find these combinations to be ideal, although some still prefer a solitaire blue topaz stone. This stone can be cut in all of the common styles as well as unusual ones. You’ll find necklaces featuring emerald cut topazes, heart cuts, round cuts, oval cuts, etc. Since it’s a “cool” color, it’s typically paired with a white or silver metal, such as sterling silver or platinum. This doesn’t mean that it doesn’t look great with yellow gold. In fact, the “iciness” of the blue topaz and the brightness of yellow gold create very flashy jewelry. Another amazing piece of jewelry is a blue topaz necklace decorated with glittering gold and accented by tiny diamonds. The great thing about this gemstone is that it goes well with any metal and setting. Some necklaces feature shapes such as crosses, stars, and hearts, and have the gemstone or multiple gemstones in the center. A cross, for example, will be made of multiple topazes. One particularly popular design features a dolphin holding a blue topaz sphere! On some necklaces, the sphere connects two dolphins together. Do you prefer butterflies? How about a pendant featuring a butterfly with blue topaz and amethyst wings. If you’re buying for your sweetheart, then a heart-shaped necklace might be a good idea – especially if the topaz is embellished with diamond accents! Even though it’s a hard stone, it can still get scratches. It also requires regular cleaning in order to prevent a buildup of dust. The best way to clean a blue topaz necklace is by gently brushing it with a small toothbrush. You can use warm water or a solution that’s free of ammonia. You can find the perfect blue topaz necklace at SuperJeweler.com! There are dozens of pretty necklaces, as well as earrings, rings, and bracelets. You can find huge discounts, including free shipping and handling.